I was inspired by Thankful Expressions' Strawberry-Rhubarb Refrigerator Jam to create this easy Raspberry Chia Fridge or Freezer Jam! There are just 3 ingredients in this quick and simple jam. 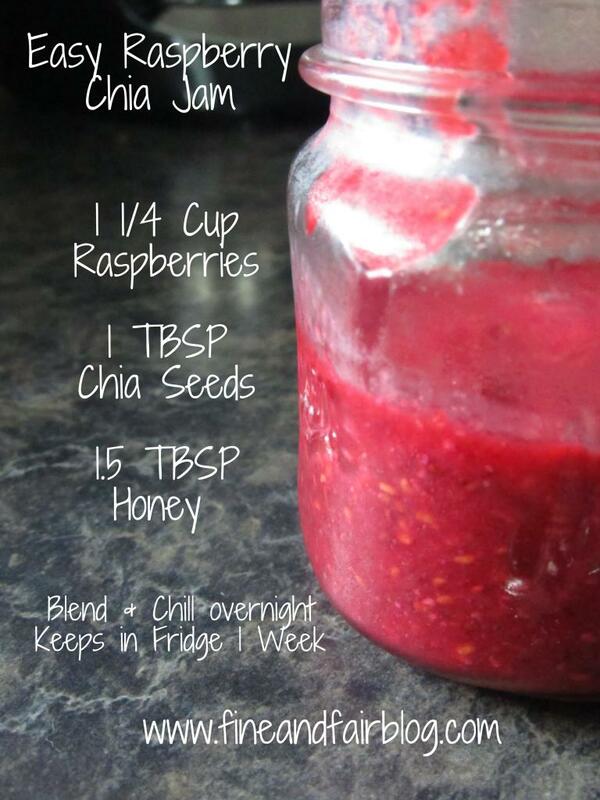 Give the ingredients a whir in the blender, pour into a jar, chill overnight to set, and enjoy! Makes approximately 1 cup and keeps in the fridge 1-2 weeks. Double or triple the recipe and freeze some for later!